CYBER ATTACK! Will you be ready? - J. Zollo & Associates, Inc.
CYBER ATTACK! Will you be ready? In today’s world of cyber dependence, the need to arm yourself and defend your infrastructure is no longer an option. Despite firewalls, malware filters and antivirus software, hackers know the tricks that cause you and your team to invite them in to your business, and if you are not prepared, the consequence can be devastating. 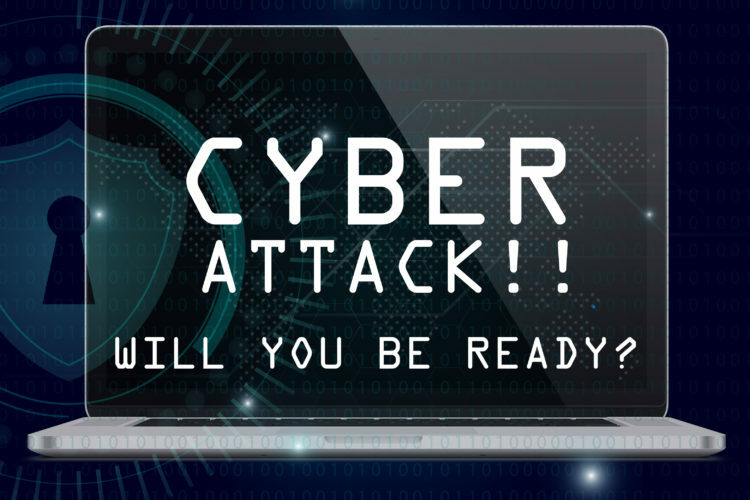 There is no doubt that we face serious cyber threats in today’s environment, and you or someone you know may already be victims of a cyber-attack. Nobody is immune. Hackers are targeting companies of all industries and sizes in a number of different ways. These predators appeal to your emotions of urgency, fear and curiosity to convince you (unknowingly) to open the door to your corporate network and steal your data. Phishing emails, password stealing malware, and ransomware are some of the most common tactics that hackers are using to target you. To improve security programs and avoid the consequences of a cyber security attack, such as wire fraud, network shutdowns or malware, below is a few recommendations from The Small Business Information Security: The Fundamentals, a guide issued by the National Institute of Standards and Technology (NIST). Identify: Conduct background checks, create policy & procedures for information security and who controls access to your information. Assign individual user accounts for each of your employees. Protect: Install surge protectors & battery backups. Consistently update utility patches for your systems & applications. Limit employee access and use encryption for sensitive data; Set up web & email filters and secure wireless access points. Detect: Install & update antivirus programs as well as software & hardware firewalls. Recover: BACK UP BACK UP BACK UP, Consider cyber insurance. Always explore opportunities to improve. Cyber security threats are here to stay. Bolstering your cyber security program and implementing the practices above can help your business address cyber-attacks and related risks before they occur.